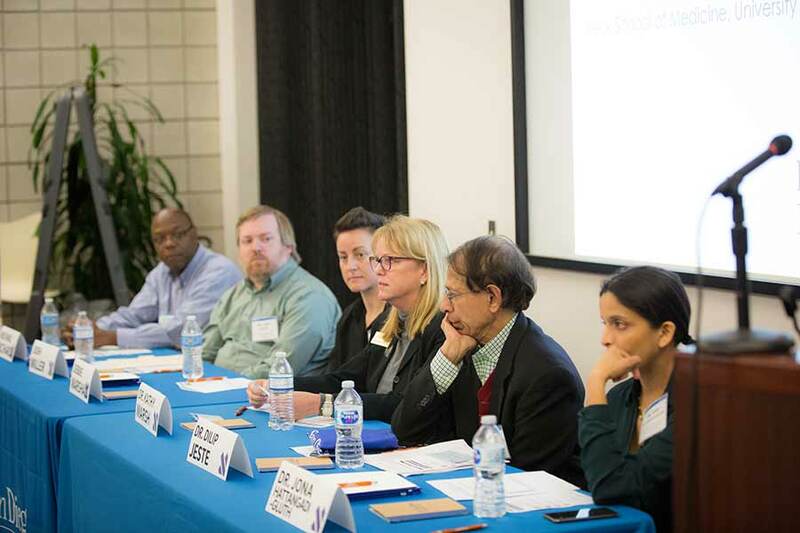 UC San Diego students attending a series of workshops last week learned that study in the humanities will benefit them in multiple ways—beyond opening doors to exciting jobs and careers. 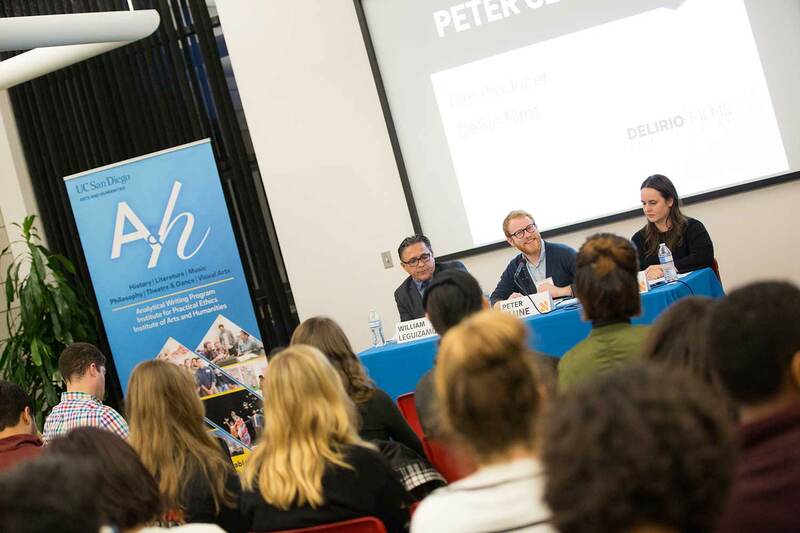 Providing concrete career information and advice to all UC San Diego students, the Careers in the Humanities Workshops spanned four nights at the Career Center, each night focusing on a different path after graduation: law, nursing and medical school, fellowships, and entertainment, news and writing. 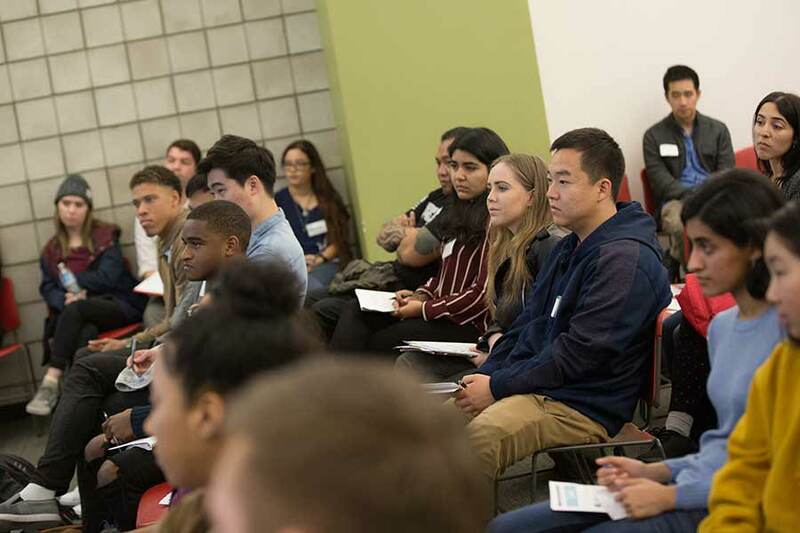 “The intention of the series was to really introduce students to some of the careers that are open to them after they finish their time at UC San Diego,” said Nancy Kwak, a Department of History faculty member who initiated and led the workshops. Professionals in the medical field give advice on ways undergraduates can better prepare for nursing and medical school on Jan. 9. Each workshop included a panel of industry professionals and admissions offers discussing their own career paths, with emphasis given to interacting with students one on one. To ensure a chance to network, the workshops were limited to 30 students each. With 17 guest speakers in total, panelists included UC San Diego alumni Jerrilyn Malana and David Lopez; admission directors Estuardo Ponciano of UC Irvine and Alexis Elston of UC Davis, UC San Diego Health physicians Dilip Jeste and Jona Hattangadi-Gluth, and media professionals Megan Burks of KPBS and William Leguizamon of Fox Desportes. “You’re in good company as a humanities major,” said Malana, a chief deputy district attorney at the San Diego County District Attorney’s Office. Malana is the immediate past president of the UC San Diego Alumni board and serves on the Board of Trustees for the UC San Diego Foundation. Kwak said the workshops were not only meant to give students a sense of the breadth of opportunity available, but also to provide time with industry professionals where they can learn concrete, practical steps to take while a student, in order to succeed after graduation. One aspect that resonated with students was the focus on fellowships and working abroad. Colin Lober, a current Rady School of Management graduate student who received his undergraduate degree in English literature, spoke about his past experience in the Peace Corps. Humanities majors, he said, are constantly questioning and thinking about the world around them: volunteering abroad highlights these skills. Students were particularly interested in talking with Michelle Monroy, the UC San Diego graduate fellowship advisor who focused her discussion on preparing applications, specifically for Fulbright Scholarships. Monroy encouraged students to reach out to her directly, and said there were a few opportunities for undergraduates to apply for Fulbright research grants. The workshops were capped at 30 students each to better give opportunities for one-on-one networking. The workshops represent an ongoing, collective effort between the Division of Arts and Humanities, the UC San Diego Career Center and the Institute of Arts and Humanities. In 2016, the university was awarded a $2.59 million collaborative grant with the San Diego Community College District to help humanities transfer students transition to the university. Awarded from the Andrew W. Mellon Foundation, the Division of Arts and Humanities received $1.42 million, the highest single-award the division has received in support of the humanities. The career workshops stem from one initiative of the grant, focusing on student enrichment opportunities aimed, in part, at underscoring how humanities study is relevant to both the personal and professional ambitions of students. The intention is to continue these workshops, showing how humanities are a viable and valuable course of study.